Carolina Leslie graduated in molecular sciences at the University of Sao Paulo (USP), and soon after migrated to the world of internet. Since 2003, she's been working with UX for some of the biggest Brazilian companies, such as Globo.com and Agencia ClickIsobar, and has led over 150 usability projects. She is responsible for organizing the annual Brazilian Information Architecture Meeting (EBAI), Brazil's first event in the UX area, which held it’s 5th edition in 2011. In 2010, Carolina started her own company, Saiba +, which provides usability and information architecture services. In a little over a year, Saiba + has participated in many interesting projects for national and international clients and in partnership with some of the main Brazilian digital agencies. Carolina Lesie is coordinating WIAD 2012 in Sao Paulo, Brazil. Andressa Vieira is a Marketing graduate who has been working with Internet for 10 years, of which 8 have been dedicated to usability, information architecture, interaction design and user experience. She has already worked for Try, Mapa Digital, Lumens and UOL, where she was responsible for usability studies and information architecture coordination. She has carried out dozens of projects for institutional, financial, and e-commerce websites, among other industries. 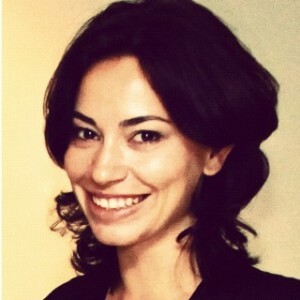 Nowadays she is a User Experience Manager at Locaweb and director and co-founder of UPA São Paulo. She also organizes the events World Usability Day, UX Camp and UX 31. 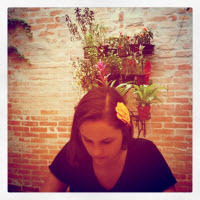 Andressa Vieira is coordinating WIAD 2012 in Sao Paulo, Brazil.